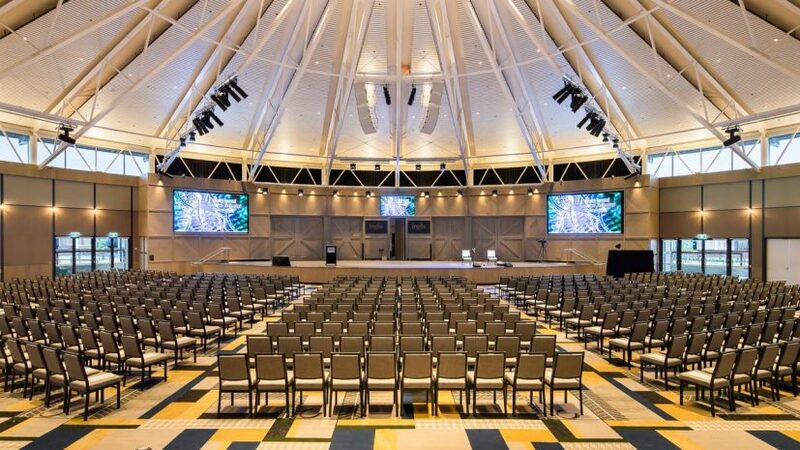 The Sales Arena offers clients the ideal space for any corporate, conference or gala style event. 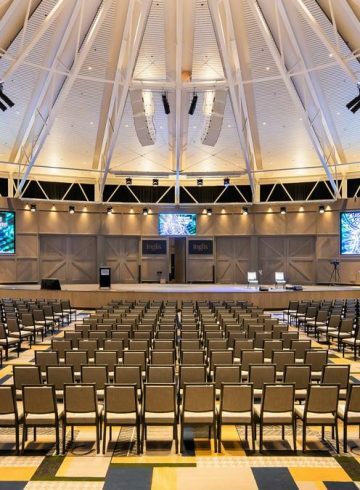 The Sales Arena is a versatile space catering up to 1000 people with a variety of seating options including theatre, classroom and banquet style set up. Featuring the latest in audio visual equipment, technology and access to inbuilt screens along with high-speed internet. The Sales Arena has a built in stage and podium which is optimal for presentations. Ideal for AGMs, seminars, conferences or gala events. The Sales Arena is complemented by 9 breakout spaces catering from 5 – 30 people seated, these break out spaces overlook the Sales Arena.